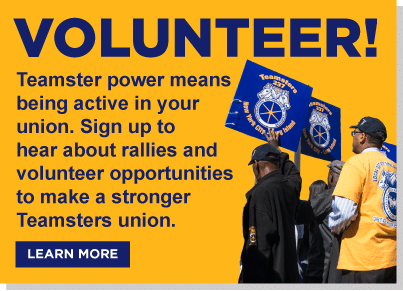 NEW YORK, NY – Today, Teamsters Joint Council 16 expressed their thanks to Gov. Andrew Cuomo for signing the New York State Commercial Goods Industry Fair Play Act (A5237B/S5867) and giving the Empire State the strongest worker misclassification legislation in the country. More than 120,000 New Yorkers are employed by the commercial trucking industry, and many have suffered loss of wages and financial difficulties due to misclassification. The Fair Play Act redefines the definition of an employee in the commercial trucking industry, protecting commercial goods transportation employees from being misclassified. Joint Council 16 worked with the New York State Motor Truck Association to ensure that the Fair Play Act provides coverage for both employees of the commercial trucking industry and legitimate independent contractors. Their efforts received strong and unprecedented support from both houses of the New York State Legislature. Under the new regulations, 28,000 truck drivers who are misclassified each year will be properly classified. This legislation comprehensively covers trucking companies in NYS, including larger companies such as Fed Ex Ground and UPS. The bill also includes historic levels of civil and criminal penalties against employers in the industry who purposely misclassify drivers.